February 28, 2013 | Posted by Lee C.
Window seats are a fun way to take advantage of the coziest, sunniest places in your home. They are perfect for reading and relaxing, fun to decorate with throw pillows and window treatments, and can even be a good space for storage. Window seats can range from elaborate designs to a cushion on top of set of cupboards. All you need to get started is a sunny window and some open wall space. 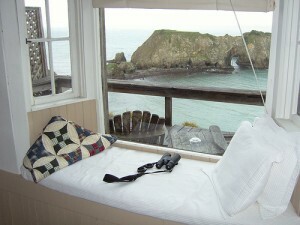 To get an idea of the vast range in styles of window seats see this post from Fresh Home. Some of these window seats are set deep with plenty of space to lounge, others are simple wooden frames and still others a cushion on top of some shelves. If you want a cozy reading nook, one of these window seats is sure to fit into the style of your home. If you are handy with a few tools, you can make your own window seat with purchased cabinets or shelves. The Do It Yourself Network gives a step by step tutorial about how to make a window seat with cabinets purchased from a home improvement store. Centsational Girl gives her account of crafting a window seat using shelves from Ikea. She even discusses how to accommodate preexisting heating vents and electrical sockets. To use a window seat for added storage you can build it on top of shelves or cabinets. Open shelves with baskets and books create an especially stylish, homey look. In a guest room you can even hide a roll away trundle bed in a drawer under a window seat. If your window seat is in the middle of a long flat wall, you can frame it on either side with tall bookshelves. The bookshelves will add storage and help frame the space. A cozy space in your children’s bedroom may encourage them to read more or spend more time on homework. Allow them to help decorate, so they feel like the space is their own. Window seats can also be used for additional seating. Long bench seats are great for spaces that become crowded during social functions, such as the kitchen or dining room. Pull a long table up to a window seat to save space and add plenty of seating in a kitchenette or small dinning room. There are many forms and functions of window seats. If you have a window, you can find a seat that will work with it. Do you have any favorite window seat fashions? February 19, 2013 | Posted by Lee C.
Pillows are easy to sew, making them ideal for do it your self projects. You can buy pre made pillow forms, or use stuffing to easily fill your pillows. The following are several suggestions for using household items to craft fashionable pillows for your home decor. This Thrifty Household suggests spray painting pillows. She spray paints soft cotton to make outdoor pillows for a bench. You can use bright paint and painters tape to craft colorful patterns. See her post for a full set of detailed instructions. TLC Home recommends using pashmina wraps to craft incredibly soft pillows. You can cut the wraps leaving the fringed ends in tact and then sew the pillows so that the fringe embellishes parallel ends of the pillow. You can also make your own pretty embellishments to add to your pillows. Felt is a great material to use for crafting layered flowers or geometric shapes to place on pillows. All Things Thrifty provides an excellent tutorial for crafting your own pillow as well as designing embellishments. If you are a more advanced sewer, try out these oversized floor pillows from Moda Bakeshop. They are a quilted style round pillow perfect for lounging and a beautiful accent for your home. The full tutorial with step by step instructions can be found here. You can also use old clothing to create new pillows. Use old soft sweaters or beloved t-shirts. Simply cut two matching pieces from the article of clothing and sew right sides together, with a few inches left open on one edge. Turn the pillow right side out, fill and sew the last few inches shut. 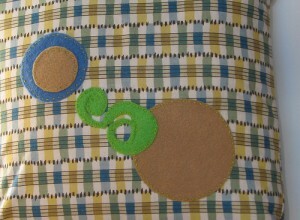 You can even use clothing with buttons or zippers to add extra embellishment to the pillows. TLC Home also suggests repurposing old sheets as new pillows. Old sheets are large enough that they can even be made into full length body pillows. Sheets will also make comfortable pillows or pillow cases to use on your bed. Making new pillows is a great way to recycle old materials, use your quilting skills, or hone your creativity by making embellishments. By making your own throw pillows, or bed pillows you can find material that is both comfortable and matches your style. Do you have any creative ideas for making pillows? Bamboo fabric is becoming more popular for all kinds of uses. It works especially well for clothing and bedding. For those who prefer a healthier option, Bamboo may be the perfect choice. The following is a list of advantages and disadvantages of bamboo fabric that can help you decide if it is something you want to try. 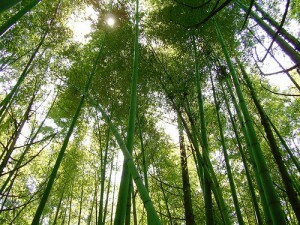 Bamboo growth is incredibly sustainable. Bamboo grows very quickly and is mature and ready to harvest after about 4 years of growth. It does not need to be replanted because it sends up new growth from its vast root system. It also converts a high volume of carbon dioxide into oxygen. Bamboo is easily organically grown. It usually requires no pesticides and fertilizers. It is also drought tolerant so it does not use massive of amounts of water for irrigation. Bamboo fabric is naturally antibacterial. It is also hypoallergenic. Many people who experience sensitivities to other fabrics can use bamboo without a problem. Bamboo is also naturally wicking. It helps to regulate your body temperature by pulling moisture away from your skin. When you are sweating bamboo will not cling to you the way other fabrics will. In warmer climates it helps you to keep cooler while sleeping. Bamboo is compostable. Bamboo is made from all natural plant materials so when your product is worn beyond use you can compost it and grow something new. Bamboo fabrics never have to end up in a landfill. The material is soft. Some even equate its luxurious feel to silk. Bamboo tends to shrink more than all cotton fabrics, therefore special laundering may be required. Bamboo fabric also wrinkles more than other fabrics. Depending on what the fabric is being used for, bamboo may not be the ideal choice. For many, the benefits of bamboo outweigh the disadvantages. Consider trying bamboo sheets if you are looking for a material that is soft, smooth and will keep you cool and dry during the night.